Being at the Capitol for the past few days has given me a in depth view of the pro-choice supporters. One of the slogans that I have seen frequently used by many at the Texas Capitol is a poster that is origins from a violent 1968 French protest. 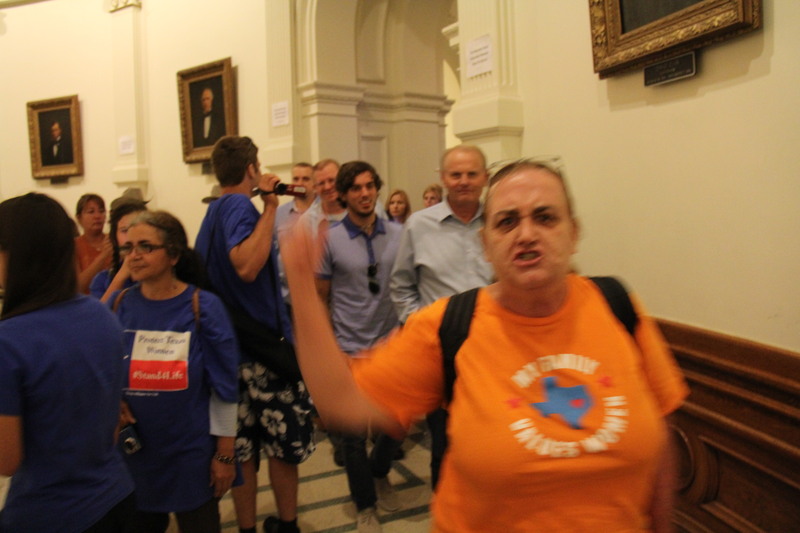 While not all Planned Parenthood supporters are violent I have seen a vast majority of them with quite offensive materials pointed at Texas Legislators and pro-life protesters. The fact that they came at the end of the pro-life rally on Monday night and began shouting and chanting trying to drown out the band playing on the Capitol steps should speak wonders about the attitude of this group of people. The history of the poster pictured to the left is the slogan that people of the pro-choice movement translated in English to “Beauty is in the Street”. 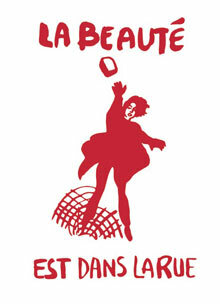 This was the leading poster and motto from the student riots in Paris, France in 1968. They were a massive group of Marxist communists that wanted to violently protest the government. The object above the woman’s head is a a brick being thrown. The protests were violent and the use of this slogan was representing the worship of the violence of the protest. Today, pro-choice protesters proudly flaunt this poster translated into English, which can only mean they want a violent protest and from the footage and photographs I have been taken the desire of the destruction of the foundational principles of due process. This is pro-choice America. Violent Marxists that want to have the right to murder their children. This is not America, this is not the America our founders wanted. This, this is the evil of Nazi Germany and the USSR making itself known here in America. Where are the righteous? We must rise against evil. We must stand firm on our watch. Ronald Reagan said ” Freedom is never more than one generation away from extinction.” We must stop this pro-death culture from instating their Marxism in our government. We need a revival in this land. The politics of our nation are a reflection of our society. Our society needs Jesus. Please stand against evil.